Brunswick Billiards recently shared their article about Celebs Who Love Billiards on their social media blog. To see the original CLICK HERE. Let’s add to the fun and post a suggestion at the end of this feature sharing the name of a Celeb that you have heard of, seen, or read about “Who Loves Billiards”. We will get the ball rolling by adding Michael Jordan and Jackie Gleason. Jordan was once presented with a custom McDermott cue with the designs and colors of the Chicago Bulls. Gleason was known to have made many of his own shots in the 60’s pool movie, The Hustler. Even with their jam-packed schedules, celebrities still find time to play everyone’s favorite pastime, billiards. Check out some celebs who love the game and what makes their connection to the billiards so special. Michael Douglas—His apartment, which is home to a golden surface billiards table, overlooks the upper east side of New York, and features spectacular views of Central Park. John Elway—The former NFL quarterback turned executive always finds time to squeak in a quick game of billiards. Supposedly, Elway had a table at his home that he had never lost on. One night, one of his Broncos teammates beat him and the very next day, he shipped the table off and bought another one. Guess he isn’t very used to losing. 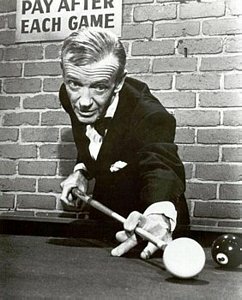 Fred Astaire—Owner of four Brunswick tables located in the basement of his home, the so-called, “Pool Wizard,” had a very likeable personality and enjoyed playing the game with just about anybody. 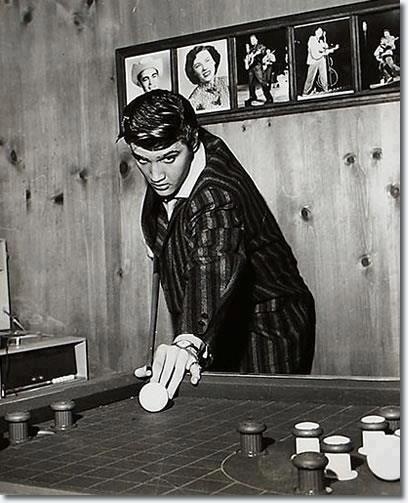 Elvis Presley—An able pool player himself, Elvis was known at times to move the cue ball in his favor as a joke to see who from his entourage might call him out on it. Joe Rogan—Not only does he have solid mechanics, but his superior knowledge of the game and strategy are very apparent. The comedian/athlete’s extreme focus and intensity, while maintaining a stellar pre-shot routine is quite impressive.